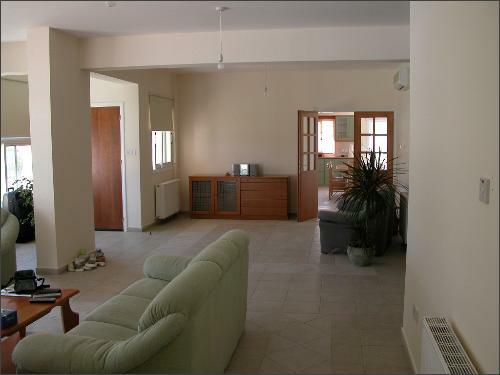 A new, detached, spacious villa with private pool and garden located on the Larnaca - Dhekelia Road. 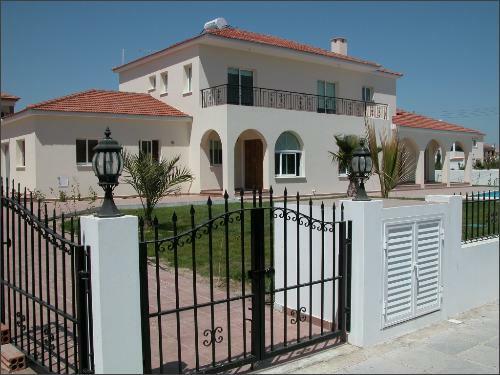 The villa consists of 5 bedrooms (4 double and 1 single), 5 en suite bathrooms, sitting room, office, fully fitted kitchen, utility room and garage. 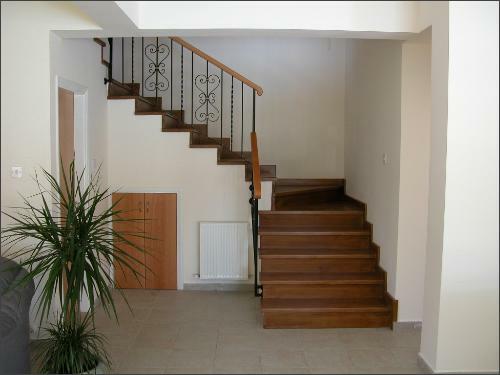 The house area is 420 sq.m, the plot area 890 is sq.m with a swimming pool 10m x 5m. The garage has room for one car and there is another parking area for a second car. Air conditioning and central heating units fitted throughout. 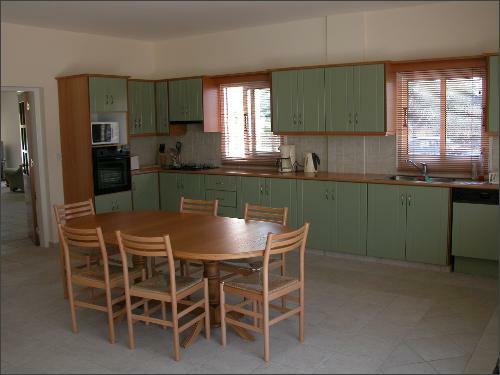 Fully equipped kitchen with fridge freezer, gas cooker, electric oven, extractor, microwave, fitted cabinets, crockery, cutlery, pots, pans, electric kettle, toaster and dining table/chairs for 10 people. 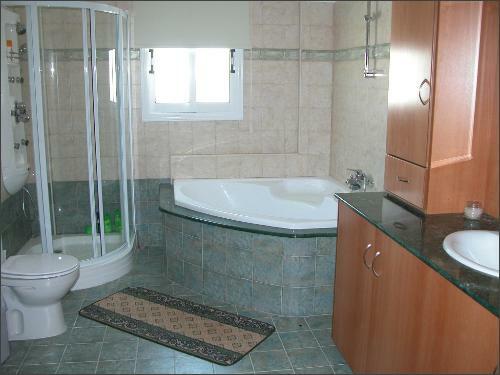 A utility room contains of a washing machine and dryer, sink and additional cabinets. 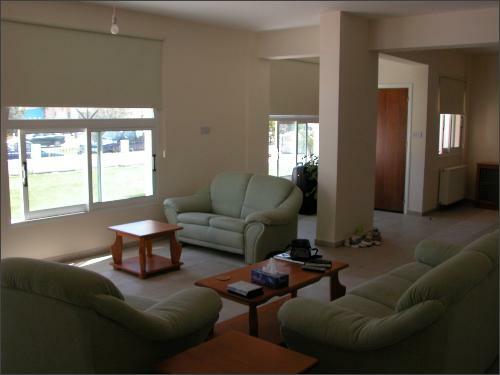 The sitting room has a colour TV, DVD, hi-fi and sofa sets. The downstairs master bedroom leads direc via shaded patio to the swimming pool, whilst 2 of the bedrooms upstairs have access to a veranda. All the bedrooms have fully fitted wardrobes. The office contains a desk and bookshelf and overlooks the veranda to the swimming pool. Blinds are installed on all the windows and patio doors. 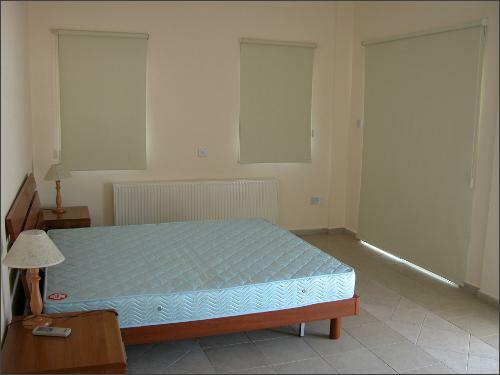 All bedrooms have bedding, linen and towels (excluding beach towels). Pool side sun beds, table and chairs are also available. 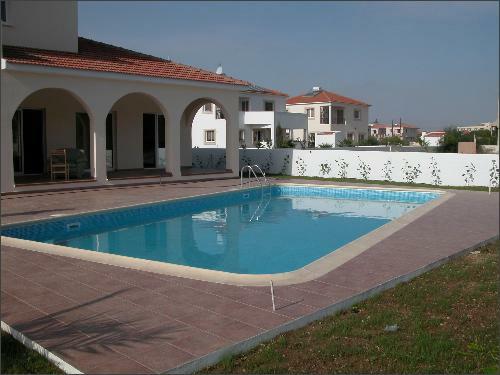 The villa is conveniently located close to all amenities in Oroklini, Larnaca, 15 minutes drive from Larnaca airport, 5 minutes drive from the motorway for easy access to Ayia Napa, Limassol, Nicosia, and Paphos. A number of shops including a bakery, two supermarkets, beauty salon and a restaurant are within walking distance and the beach is a 1 minute walk from the villa. However this is negotiable depending on the exact rental duration and the amount paid in advance. On top of this the tenant will have to pay for the electricity, water, telephone, and gardener and swimming pool maintenance. 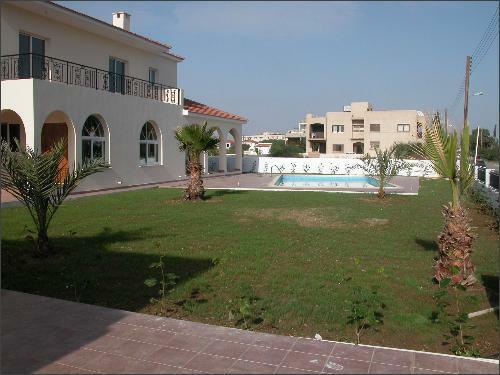 If the tenant would like the owners to take care of the garden and swimming pool this can be arranged, however, the rental price would increase by about CY£ 300 - 400 per month.